Thank You Very Much Mario Daniel Saralegui Iriarte for not only winning the Clausura Championship but also qualifying for the play-off for La Copa Libertadores. Some people might say that with a team of players like he had anybody could win and probably should have won all titles. I believe you have to look at the circumstances as a whole and use a timeline to really understand what he has accomplished. Peñarol were 6th and had just lost 1-0 to Wanderes, the morale of the team was low and Matosas (previous coach) was under pressure from everywhere. Considering the players that Peñarol had, they were playing with no style and the team lacked direction. 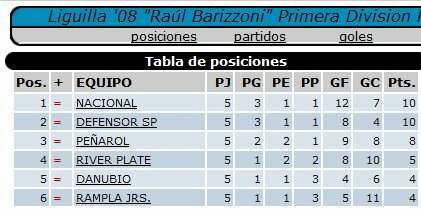 When Saralegui took over his first result was a 6-0 win to Bella Vista on the 16/03/08. 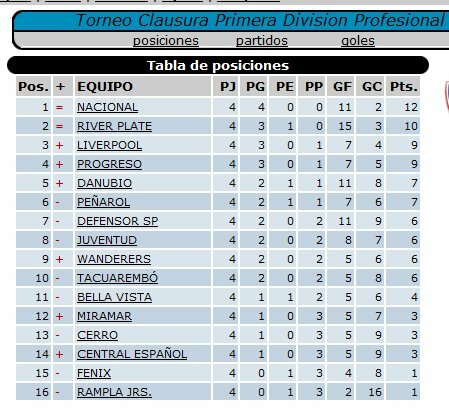 Following a string of fantastic results and overall playing with style and determination Peñarol managed to finish the Clausura Championship equal 1st. Now the Championship is not decided on goal difference so a final between Peñarol and River Plate would decide the outcome. 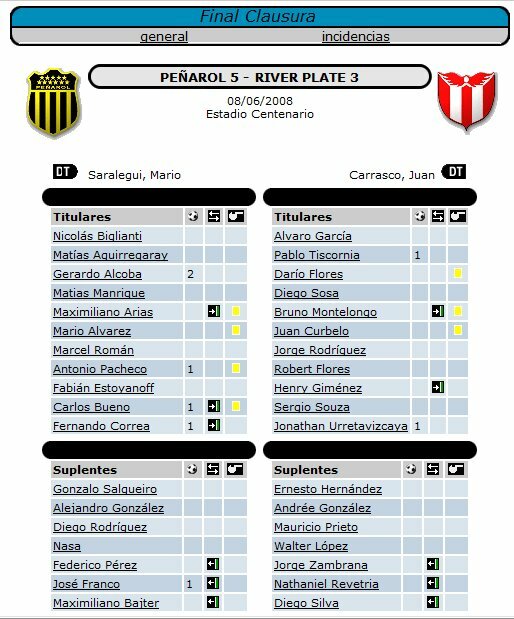 Peñarol were losing the game 1-3 and managed to make a heroic comeback to win the game 5-3, becoming the Clausura Champions for 2008. Following this Championship was the Semi Finals against Defensor Sporting (Winner of the Apertura Championship) and unfortunately Peñarol lost the first game 1-2 and drew the next game 0-0 which made Defensor Sporting the Uruguayan Champions for 2008. The next stage is a small competition to place the following teams in La Copa Libertadores and Copa Sudamericana. 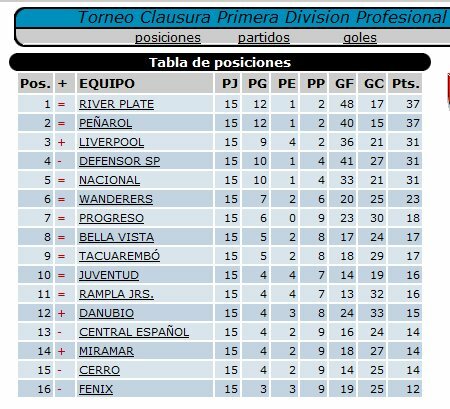 Defensor winning the Uruguayan Championship and also the Annual Table, meant they were in the best position to qualify for any cup. Peñarol drew their last game against Rampla Juniors and qualified for a play off to enter La Copa Libertadores. Now considering the situation we were in March this year, it has been an incredible performance in just over 4 months. If Saralegui had the team from the start of the season who knows what could have been achieved. 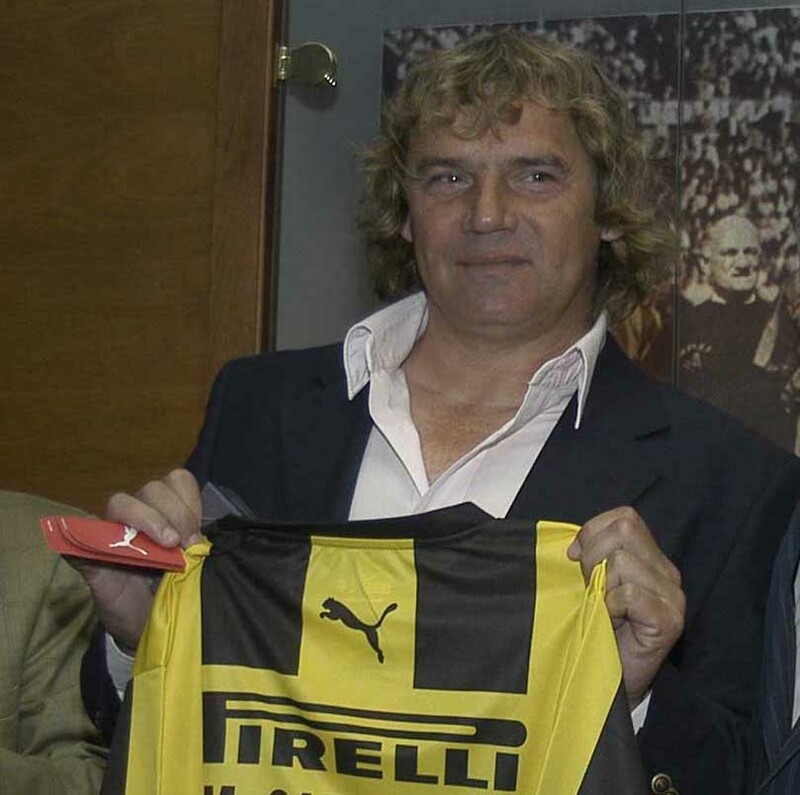 Mario Saralegui has brought respect back to Peñarol and all los Manyas. The fans have been fantastic in the way they have gone to the games and supported the team. It has been a transformation of gigantic proportions, the players that have come back to play with all their hearts even though they have lucrative contracts with european clubs. They could have easily left early but instead stayed to the end and played with their hearts on their sleeves. Mario Daniel Saralegui Iriarte (born April 24, 1959 in Artigas, Uruguay). 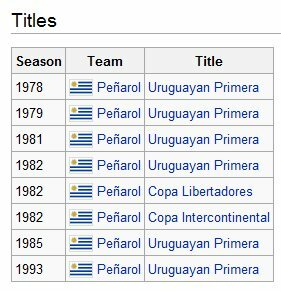 Saralegui played most of his career for Peñarol in Uruguay, the only Uruguayan team he ever played for. 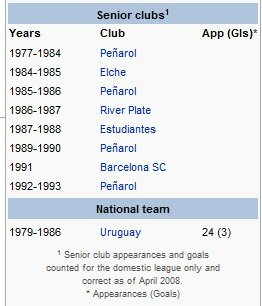 He won 6 Uruguayan Primera championships a Copa Libertadores and a Copa Intercontinental during his four spells with the club. Made his official debut on May 31, 1979 against Brazil (1-5), Saralegui obtained a total number of 24 international caps for the Uruguay national football team. He represented his native country at the 1986 FIFA World Cup, wearing the number sixteen jersey. Saralegui played for a number of non-Uruguayan teams including Elche of Spain, River Plate and Estudiantes de La Plata of Argentina and Barcelona SC of Ecuador. i totally agree with you. I am from Malta but i did follow Uruguay in the past and i very happy with the World Cup results that this small resilient country has obtained. I also have great great respect for Mario Saralegui. I believe he is not coaching or managing anyone and he also has a degree in psychology if i am not mistaken. I wish i can get in touch with him. I tried facebook but he probably does not know English and I do not know Spanish. Keep up the good work–i love uruguay!